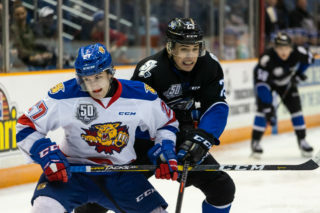 Saint John fell to the Moncton Wildcats 5-3 on Sunday afternoon at Harbour Station. The Sea Dogs are now (12-37-2-2) and continue to trail Shawinigan by four points for the final playoff spot. Moncton held control throughout most of the first period but the Sea Dogs forwards did their best to help out Mikhail Denisov by filling shooting lanes and blocking several shots from the point. 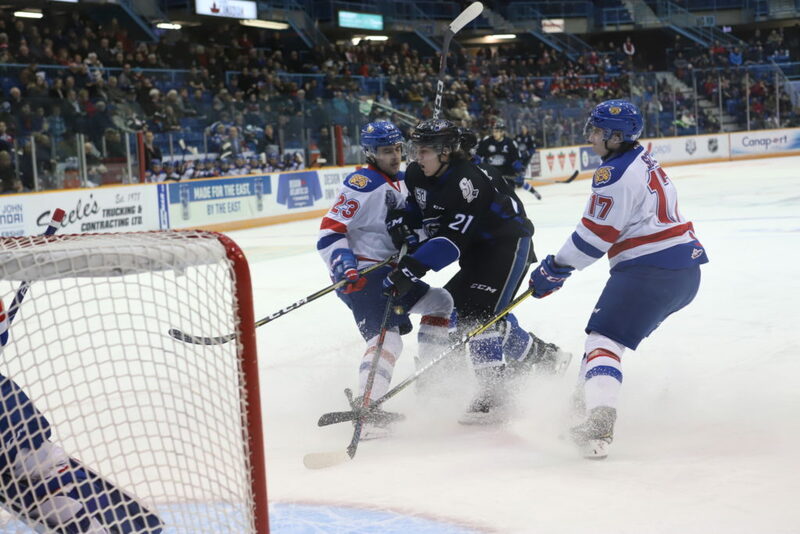 The Sea Dogs went to the power play with less than two minutes to go in the period after Filip Prikryl was tripped during a two-on-one with James White. 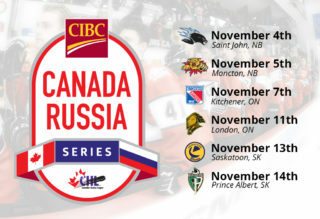 Time ran out in the period before Saint John could get setup in the Moncton zone. The Wildcats took a 13-6 shot lead into the second period. 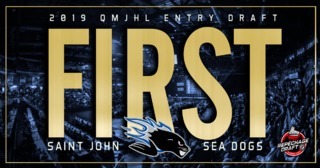 Saint John would open the scoring at 3:51 when Josh Lawrence held the puck on a two-on-one and wristed a shot glove side past Francis Leclerc to put the Sea Dogs up 1-0. After killing off a Villeneuve interference penalty Moncton would tie the game when Jacob Hudson scored from the left circle at 7:46. Three minutes later Moncton took the lead on a Jakob Pelletier goal at 10:09. 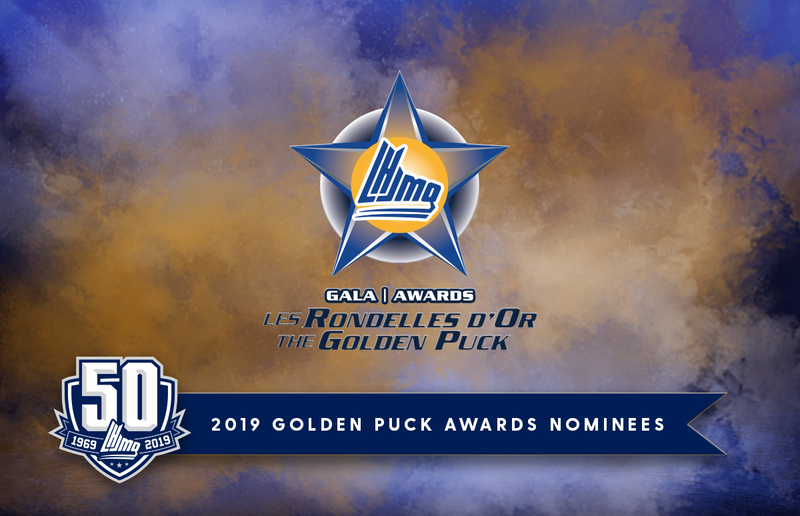 Pelletier would add another at 18:42 on an unfortunate mishap when Denisov failed to clear the puck from behind the Sea Dogs net and Pelletier was waiting on the doorstep to put it in, making it 3-1 Moncton. Just 11 seconds later Moncton entered the Sea Dogs zone on a two-on-one and it was Pelletier feeding Khovanov for a one-timer past Denisov to go up 4-1. Robbie Burt and Sean Stewart dropped the gloves for a spirited affair shortly after. Each would receive five minute major penalties with Burt getting an additional ten minute misconduct for not wearing a tied down sweater. The Sea Dogs trailed 4-1 on the scoreboard and 25-15 in shots heading into the third. The Wildcats would strike again early in the third when Jeremy McKenna stuffed the puck at the side of the net between the post and Denisov to make it 5-1. 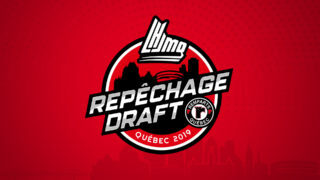 Denisov would be relieved in net by Zachary Bouthillier. 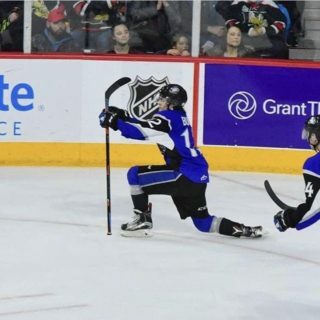 After Tristan Dejong went off for interference at 2:59 of the third, Brady Burns sniped home his 10th of the year, a power play goal, at 4:51 to make it 5-2 Moncton. An odd play occurred at 9:18 when Jeremy McKenna was caught holding his broken stick and tried to kick a pass, he was called for a two minute penalty. Khovanov and Gagné went off at 14:08 when they were given slashing and high sticking penalties respectively. During the 4-on-4 Sylvestre would be called for interference for a brief 4-on-3 but the Sea Dogs couldn’t solve Leclerc. Saint John got another crack with the man advantage after Adam Capannelli went off for holding at 19:20. William Poirier added a power play goal in the last second to make it 5-3 Moncton, your final score. Denisov made 22 saves in just over two periods of work. Bouthillier stopped six of six in relief. Leclerc turned aside 28 for the win.